Climbing Stromboli volcano can be an extremely rewarding experience. 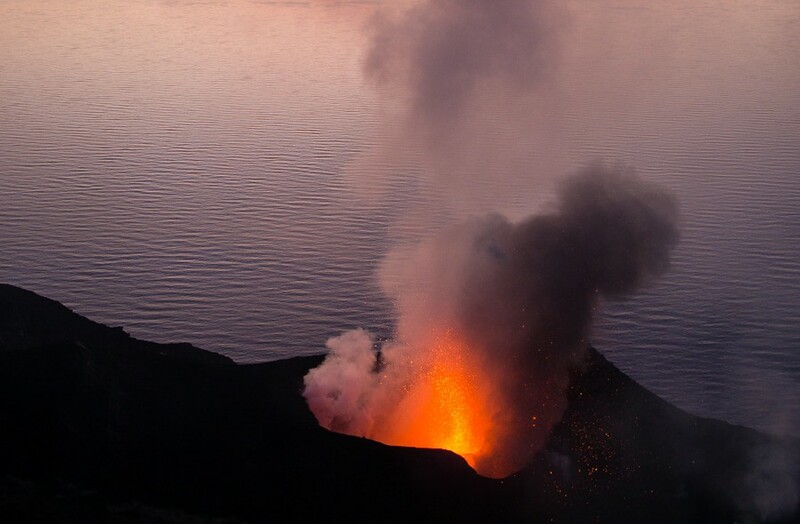 Famous for its regular fireworks since Ancient times, Stromboli is one of the very few volcanoes in the world that is in near-constant activity. It offers visitors a relatively easy access to a vantage point where its fireworks can be observed from very close range in reasonable safety. In addition, the island of Stromboli with its particularly addictive charm is always worth a visit. Surrounded by sea, magnificient black-sand beaches, a tranquil setting (no cars), beautiful white houses with lush gardens, it provides a perfect surrounding for a relaxing holiday.